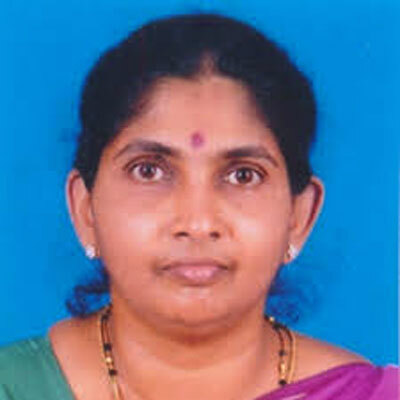 Dr Sivashanthini Kuganathan is currently working as Associate Professor in Fisheries University of Jaffna, Jaffna Sri Lanka. She received her PhD degree in the field of Marine Biology from Annamalai University, India in 2004, MSc in the field of Shellfish Biology, Fisheries and Culture from University College of North Wales, Bangor, United Kingdom, in 1994. Her field of specialization is Marine biology, Fisheries and Aquaculture. Her working experience includes, Temporary Assistant Lecturer in Zoology, Head Department of Zoology, Head Department of Fisheries at University of Jaffna, and Co-coordinator at Centre for Development of Fisheries. Dr Sivashanthini Kuganathan is life member of Jaffna Science Association Fisheries and Aquatic Resources, Association for the Advancement of Sciences Wild Life Nature and Protection Society, Institute of Biology Sri Lanka, Network of Tropical Aquaculture and Fisheries Professionals, Marine Biological Association and Zoological Society of India and full member of Asian Fisheries Science. Dr Sivashanthini Kuganathan received number of honors and awards including Susre award 2014, MoES, CSIR New Delhi and TNSCST Chennai fellowship, KORDI-UNU International Fellowship, Book and Workshop Grant and UNU - UNESCO International Fellowship. She also presented in national forums. She attended number of national and international workshops and conferences. She published (28) articles in journals, (7) books, (3) book chapters, (8) articles in Newsletter, (12) proceedings as author/co-author. She supervised 8 postgraduate students, 5 under graduate students, 1 PhD student, and, 4 MSc students and 4 M.Phil students are currently in her supervision. Sutharshiny, S. and K. Sivashanthini, 2011. Total lipid and cholesterol content in the flesh of the five important commercial fishes from waters around Jaffna Peninsula, Sri Lanka. Int. J. Biol. Chem., 6: 161-169. Charles, G.A. and K. Sivashanthini, 2011. Population dynamics of squid Sepioteuthis lessoniana (lesson, 1830) from the Northern Coast of Sri Lanka. J. Fish. Aquat. Sci., 6: 74-84. Sivashanthini, K., W.S. Thulasitha and G.A. Charles, 2010. Reproductive characteristics of squid Sepioteuthis lessoniana (Lesson, 1830) from the northern coast of Sri Lanka. J. Fish. Aquat. Sci., 5: 12-22. Sivashanthini, K., G.A. Charles and W.S. Thulasitha, 2009. Length-weight relationship and growth pattern of Sepioteuthis lessoniana lesson 1830 (Cephalopoda: Teuthida) from the Jaffna Lagoon, Sri Lanka. J. Biol. Sci., 9: 357-361. Sivashanthini, K., G. Gayathri and K. Gajapathy, 2009. Length-weight relationship of Sphyraena obtusata cuvier, 1829 (Pisces: Perciformes) from the Jaffna Lagoon, Sri Lanka. J. Fish. Aquat. Sci., 4: 111-116. Sivashanthini, K., 2009. Population dynamics of a whip fin silverbiddy Gerres filamentosus Cuvier, 1829 from the Parangipettai waters, Southeast coast of India. Asian Fish. Sci., 22: 1149-1162. Sivashanthini, K., G.A. Charles and S. Shutharshan, 2008. Fecundity studies of Gerres abbreviatus (BLEEKER, 1850) from the Jaffna lagoon, Sri Lanka. J. Fish. Aquatic Sci., 3: 320-327. Sivashanthini, K., 2008. Reproductive biology of the whipfin silverbiddy Gerres filamentosus Cuvier, 1829 from the Parangipettai waters (SE coast of India). Asian Fish. Sci., 21: 127-145. Sivashanthini, K., 2008. Length-weight relationships and condition of gerreids (Pisces: Gerreidae) from the Parangipettai waters (SE coast of India). Asian Fish. Sci., 21: 405-419. Shutharsan, S. and K. Sivashanthini, 2008. First record of three species of Gerreids (Pisces: Perciformes) from the Jaffna lagoon, Sri Lanka. J. Fish. Aquatic Sci., 3: 334-339. Abyerami, S. and K. Sivashanthini, 2008. Diversity of snakes from the Jaffna Peninsula, Sri Lanka. Pak. J. Biol. Sci., 11: 1969-1978. Abyerami, S. and K. Sivashanthini, 2008. Current status of marine snakes from jaffna peninsula, Sri Lanka with description of hitherto unrecorded Hydrophis fasciatus fasciatus (Schneider, 1799). Int. J. Zool. Res., 4: 214-224. Abyerami, B. and K. Sivashanthini, 2008. Some aspects on the feeding of Gerres oblongus (Cuvier, 1830) dwelling from the jaffna lagoon. Pak. J. Biol. Sci., 11: 1252-1257. Kuganathan, S., 2006. Population dynamics of Gerres abbreviatus Bleeker, 1850 from the Parangipettai waters, southeast coast of India. Sri Lanka J. Aquat. Sci., 12: 1-19. Sivashanthini, K., 2004. Length-weight relationship and relative condition in Gerres abbreviatus (Bleeker) from the Jaffna lagoon, Sri Lanka. J. Mar. Biol. Assoc. India, 46: 117-119. Sivashanthini, K. and S. Ajmalkhan, 2004. Population dynamics of Gerres setifer (Hamilton, 1822) in the Parangipettai waters, Southeast coast of India. Indian J. Mar. Sci., 33: 352-357. Sivashanthini, K. and B. Abeyrami, 2003. Length-weight relationship and relative condition of a silver biddy Gerres oblongus (Pisces:Perciformes) from the Jaffna lagoon, Sri Lanka. Ind. J. Mar. Sci., 32: 252-254.